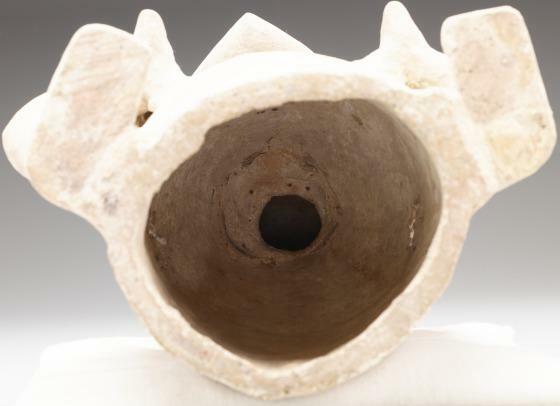 The "Xantiles" are bottomless cylindrical vessels representing specific supernaturals in the pantheon of the Mixteca-Puebla culture. 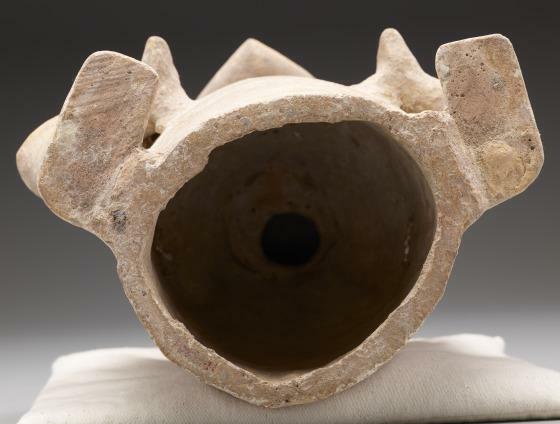 They were placed over containers of burning copal incense. This figure retains much of its original paint. The body is yellow and ornaments are blue, with additional painted red and black decorative details such as the rectangular mouth mask. 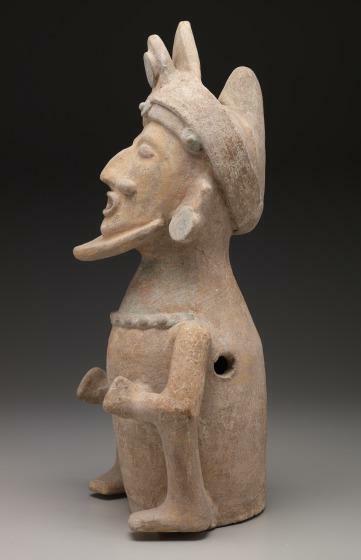 Xantiles sat over containers of copal incense, which Mesoamerican peoples burned as food for supernatural beings. 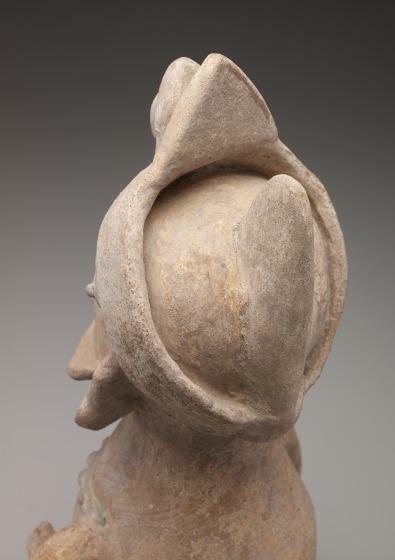 The fragrant smoke drifted to the spirit realm through holes in the painted clay figure. 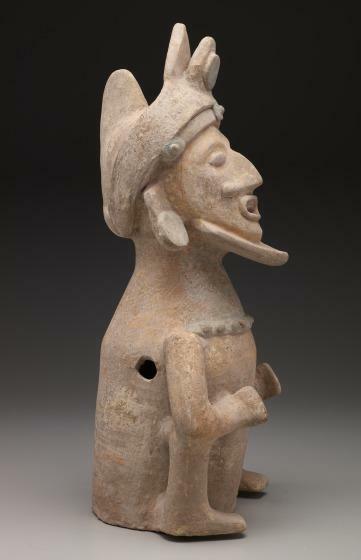 "Xantile" is the modern Zapotec word for a cylindrical, bottomless effigy incensario representing, in costumed human form, one of the supernaturals in the Mixteca-Puebla pantheon. 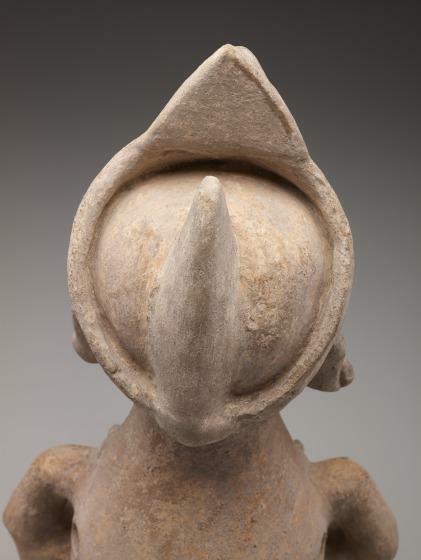 The crested bird-head helmet framing the face of this figure identifies him as Xochipilli-Macuilxochitl, because his "nahualli" or spirit guise was the coxcoxtli, a species of pheasant. 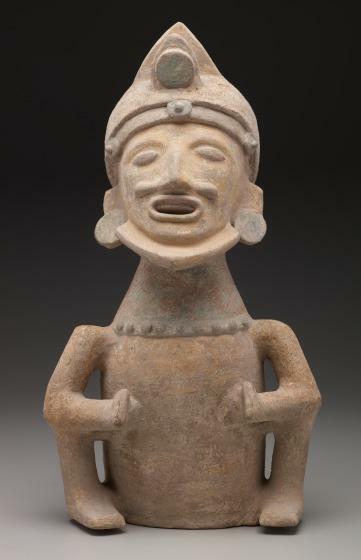 Xochipilli, the "flower prince," is the youthful aspect of the solar deity, patron of poetry and sensuality. 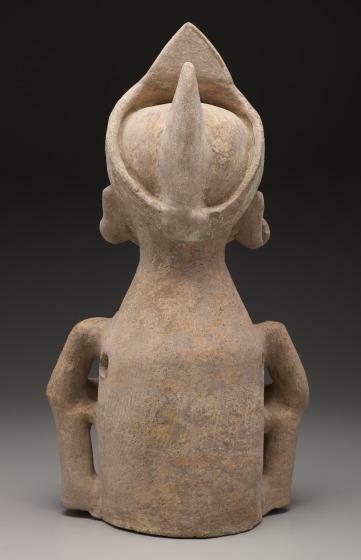 Macuilxochitl, "Five Flower," is the Aztec deity of pleasure, dance, the ball game, and patolli (similar to pachisi of southern Asia), a game of chance with religious and astronomical significance. 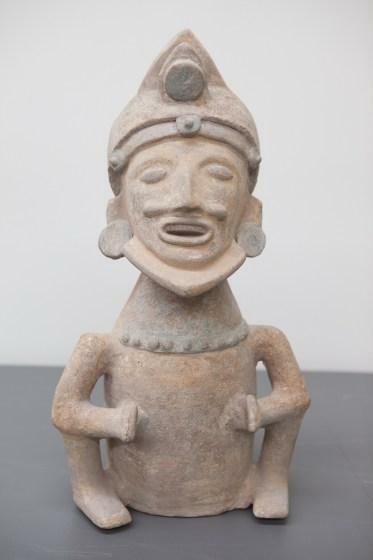 He is identified with, and may be the calendrical name of, Xochipilli.